Now that the New Year is rapidly approaching, it’s a perfect time to discuss writing goals for 2011. What you want to accomplish next year may be dependent on where you are on the above pathway to becoming a bestselling novelist (or one with a loyal and growing fan base). Read Read Read in the genre you want to write. If you woke up this morning and decided to become a YA writer, then you’ve got a lot of homework ahead of you. Same deal if you want to write a medical thriller and have never read one before. Of course, in this case, you might want to consider attending medical school first (or law school if you want to write a legal thriller). Read outside your genre. You might get some brilliant ideas for your story. Plus, you might discover a genre you never thought about writing before. Study nonfiction books on writing. Read blogs. A lot of writers are delighted to share their knowledge and writing tips in bite-sized pieces. This makes it easier for you to remember the pointers when writing and editing your novel. Analyze the writing of your favorite authors and see how it can improve your writing. Join a critique group or find some knowledgeable beta readers. Learn to research. Most novels require research, even if it’s just to make sure your characters aren’t stereotypes. Attend conferences. They’re a great learning and networking experience. You’ve written your novel and done numerous revisions based on feedback from your critique partners and beta readers. You’ve polished your novel until it shines, and have given it some much needed distance. Now you’re ready to query. Learn how to write a query and how not to write one. Many queries are rejected because writers did those things that irritate agents and editors the most. Don’t be one of these writers. Research agents. Don’t waste your time and theirs by querying the wrong agents. If you’re just getting form rejections, go back and redo the previous three points.If agents are rejecting requested materials, figure out why. IF you’re lucky, they might give you a hint. For example, if an agent mentions the characterization wasn’t as strong as she would like, now’s the time to study some books on characterization. Start working on a new project. I can’t stress this one enough. Consider trying out a different genre. Maybe you aren’t cut out to write legal thrillers, but discover you can write a kickass romantic suspense. Congratulations, you’re getting closer to your goal of publication, but you’re not there yet. When you consider how many agents represent your genre and how many editors are looking for it, well, the odds aren’t great in your favor of your book being sold. Keep reading books in and out of your genre. Continue to develop your craft. Just because you’re agented, it doesn’t mean you can stop learning and challenging yourself to do better. Start working on a new project so if your current book doesn’t sell, you’ll have something new for your agent. If your manuscript is only collecting rejections, study the reasons behind them. Unlike agents, many editors do provide some feedback as to why they rejected the book. See this as an opportunity to improve that area of your writing (if that was the reason for the rejections), especially if they’re consistent. Remember, your goal is to be a professional one day (i.e. make money from your stories). And professionals (physicians, accountants, lawyers) are always learning. It never stops. Which brings me to the next point. Wow, you did it. You’ve made it to a place a lot of writers dream about. Of course, you still have a lot of work to do. You have to promote the book (which I’m not going to go into here) and write a new one. But just because yours is published doesn’t mean you can stop challenging yourself and pushing your writing to the next level. Keep studying those books on writing and attend conferences. Unless you’re an award winning author (I’m talking the major literary awards), you probably still have room to grow. Don’t be the foolish author who assumes he knows everything. Okay, I know no bestselling authors are reading this, but hopefully you keep this advice in mind if you ever get to this point. Your fans might be forgiving, but that can only take you so far. If you start to ignore the rules, it might not necessarily work in your favor (though sometimes it can). How many of you have stopped reading books by your favorite author because the writing just isn’t there anymore? The writer has become lazy. Once your fans drop you, you have to work even harder to get them back—if you ever can. That’s why I consider the pathway to being a bestseller (or a much admired author) a two-way circle. It is possible to move backwards and not just forwards. Also, your first published novel might have been a bestseller, but it was mostly because of hype. Your next novel might not do as well if readers where disappointed with the last one. Remember, no matter where you are on the pathway, you should never stop learning and challenging yourself to do better. Your readers will thank you for it. So where are you on the pathway, and what are you planning to do next year to help you meet your goal of being published (or keep being published)? For the past several months, we've been posting articles by guest bloggers Danyelle Leafty, Stina Lindenblatt, and Jane Lebak, and I would like to thank them for the great job they've been doing. In fact, they've done so well that we think they deserve to be made official members of the QT Blog, with all the honors (huh?) and privileges (double huh?) which that entails. So please join me in welcoming them aboard and wishing them the best of luck. Stina Lindenblatt writes romantic suspense and young adults novels, and is a member of the SCBWI and RWA. Jane is the author of The Guardian (Thomas Nelson, 1994), Seven Archangels: Annihilation (Double-Edged Publishing, 2008) and The Boys Upstairs (this December from MuseItUp). At Seven Angels, Four Kids, One Family, she blogs about what happens when a distracted daydreamer and a gamer geek attempt to raise four children. She is represented by Roseanne Wells of the Marianne Strong Literary Agency. Throughout literature, villains get a bad rap. From the outset, they're the ones everyone's rooting for to fail. To fall. To be vanquished by the hero. And yet, villains affect the story more than any other single character in the book--heroes included. Next, and connected with the above, the villain sets the stakes. The hero isn't the one that determines what will be lost if he or she doesn't come through, that's the villain's job. Think of Lord Voldemort (is anyone else noticing the pattern with bad guys using Lord in their title?) and what it would have meant if Harry hadn't managed to survive their first encounter, let alone beat him sixteen years later. Or if Prince Humperdink had managed to kill Westley all the way instead of just most of the way. On one hand, the fate of the world and the lives of the muggles are at risk. On the other, the life of the world's most beautiful girl (at the moment) is what's on the line. The stakes are determined by the villain working in opposition to the hero. Which brings us to our next point. No villain=no conflict=no plot=no point. Have you ever read a story where there really wasn't much of a conflict? Where everyone's out in golden fields picking lollipops while cute little bunnies frolic and the world has complete and utter harmony because there is no one to oppose this state of utter bliss? Yeah, me neither. For a story to work well, I think it has to have conflict. Something has to compel the reader to keep turning the page. If nothing is working against the hero(ine) of the story, there is no story. Stories need plot and plot needs conflict. Now, this isn't to say that all villains are humans. Nope. Some are vampires, some are inner vices like envy and greed, others are society or governments, some are as simple as really harsh settings. Like Siberia. (Or high school.) But something, somewhere, needs to be working in opposition to the star of the show, and that something is the villain. I looked up and the kid was looking right at me, his mouth trembling, his eyes shining. Tears. You're writers: you want to tell your stories. For Christmas or whatever holiday you celebrate, give yourself the gift of believing you have something important to say. Give your message the gift of saying it as well as you can. That's why you're reading blogs about getting published. Believe in yourself. In the end, the only reason writers persevere against the odds and the rejection and the critique and the blocks because we believe our stories are worth telling. Jane Lebak is the author of The Guardian (Thomas Nelson, 1994), Seven Archangels: Annihilation (Double-Edged Publishing, 2008) and The Boys Upstairs(this December from MuseItUp). At Seven Angels, Four Kids, One Family, she blogs about what happens when a distracted daydreamer and a gamer geek attempt to raise four children. She is represented by Roseanne Wells of the Marianne Strong Literary Agency. While I was supposed to be writing the Pulse, I was Stumble Upon-ing and I found Tweetaboogle. Tweetaboogle searches Google...and Twitter tweets. I didn't find most of the tweets to be especially relevant, but I suppose if you Googled something that was trending you might. Kind of fun, anyhow. Do you use any interesting search tools, like StumbleUpon or Tweetaboogle? On to the other good stuff 'round the web, specifically for writers! Don't forget that you can ask for (or, okay, give) the gift of a premium membership at QueryTracker this holiday season! Brianne Mulligan with Movable Type is looking for MG and YA. The Yarn Harlot does a great job of what goes through a writer's mind on D-Day -- the day she submits her manuscript to her editor. Another gem on Novel Journey: Tips for Surviving Bad Reviews. Planning to use social media to sell books? Learn what not to do in Jane Friedman's When Social Media Fails to Sell Books. 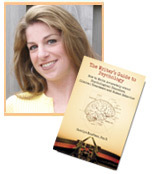 Carolyn Kaufman, PsyD is thrilled that her first book THE WRITER'S GUIDE TO PSYCHOLOGY: How to Write Accurately About Psychological Disorders, Clinical Treatment, and Human Behavior is now available. Learn more at the WGTP website. Too Many Cooks - How Do You Handle Conflicting Critiques? 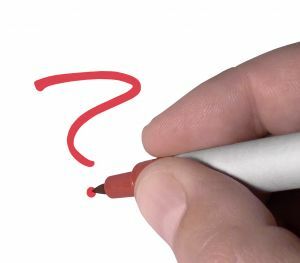 Re-submissions and Re-querying: Yes or No? You’ve sent in your query and, lo and behold, you’ve landed a partial or full request. First, congratulations! You’re now entitled to do a happy dance and celebrate with chocolate and wine (or whatever you do to celebrate). And now get ready for a long wait. But what should you do if another agent (editor, writer, etc) gives you feedback while the requested material is out, which results in substantial rewrites to your novel (or even just the first chapter)? According to the Gate Keeper, resubmit it. For more insight into her wisdom and how to do this, check out her posts here and here. What should you do if you’ve queried an agent with sample pages, but by the time they’ve request the partial or full, you’ve made substantial changes to those pages? According to Joanna Volpe (agent), you need to tell the agent this when you send in the requested material, even if you know the agent won’t be reading the manuscript for several months. And finally, if an agent rejects your manuscript and provides constructive feedback but doesn’t ask you to resubmit, however, you do a complete overall based on the advice (new title, varied plot, voice, etc), can you re-query the agent with this book? This really depends on the agent. For some, a ‘no’ means ‘no’. If they wanted to see it again, they would have asked you to resubmit after you’ve finished the revisions. For others, it doesn’t hurt to re-query them, and explain that you have made substantial changes (because chances are great they might still recognize it from before). More than likely, though, they’ll still say no, but it’s not the end of the world. Just keep querying it to agents you haven’t queried before. 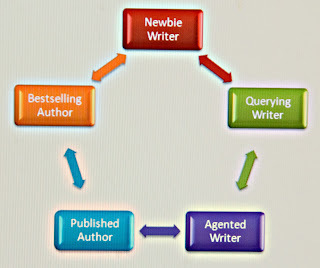 Now if you only queried the agent, and they rejected the query and sample pages, you can certainly try re-querying them, but only if you’ve made substantial changes to your query, samples pages (for example, you deleted the old ones), and possibly even your title (because some agents keep record of that). And don’t try re-querying them so soon after the first attempt. Check out Jessica Faust’s and May Kole’s (agents) posts for their thoughts on the topic of re-querying and re-submissions. These questions were based on ones recently sent to the Query Tracker Blog team. If you have any more questions, please leave them in the comments or email them to us. Stina Lindenblatt writes contemporary and romantic suspense for young adults. In her spare time (LOL), she’s a photographer and blogging addict, and can be found hanging out on her blog, Seeing Creative. It's been a huge week in publishing, so let's jump right into the big stuff. Jumping into the ebook selling business, Google launches Google eBooks, with interesting results for some authors. Also, Amazon gives authors access to their Bookscan numbers, although these numbers don't accurately reflect all sales (including ebook sales) and do not give numbers of books sold specifically on Amazon.com. The LA Times and Galleycat pick up on the #whyIread hashtag introduced by Jason Ashlock on Twitter. 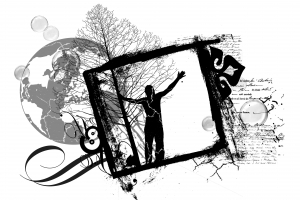 Rachelle Gardner talks about what turns her off in a writer's blog. The NY Times talks about how romance is hot in the ebook market. And finally, what we can learn about publishing from The Princess Bride. We've added three new agents to our database and updated listings for five others. Make sure your queries are up-to-date and check it out. Dipt me in ink? My parents', or my own? What Constitutes Publication and How Do I Know My Query's Been Read? · "How do you really know your email queries are getting looked at? And at what point do you say, okay, they are not interested? I can handle rejection, I even have patience. But, to just be left hanging, not even knowing if you are being looked at, is pretty unfair. I am wondering if maybe I should just snail mail to the agents who still accept queries that way. Any answer, advice?" This is something, I think, that most queriers worry about. I know I do. How does a querier know that their query is being read? Well, the only way to be 100% sure that your query is read is to get either a rejection or a request. But what about those queries you've sent weeks or months ago and haven't heard back one way or the other? Those are the queries that haunt the edges of the querier's conscious mind--especially given that many agents are turning to no response=not interested. Did it end up getting eaten by the spam filter or get lost in cyberspace or was the agent really not interested? I don't know that there's really a way to know for sure, but there are some things you can do to increase the chances of your equery finding its way to the agent's inbox. Do not send an attachment unless directed by the agent. If it makes it past the spam filter, most agents will delete it unread. Make sure your query is in the language of the agent you're sending it to and that you've properly addressed them. Follow the directions. And then double check just in case. 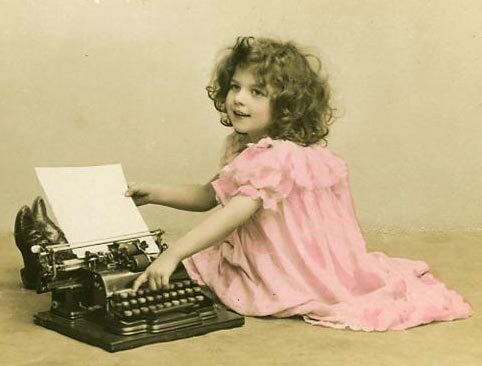 When querying, it's very important to make sure you research the agent to make sure you've formatted everything correctly and sent everything they want to see at first. Agent Jennifer Jackson blogs regularly about query mishaps she's dealt with--usually every week or two. You can find her blog here. "If you publish your manuscript as an ebook and have friends/relatives buy copies online can you still query the book as unpublished?" Please feel free to chime in here (and everywhere else), but I would have to say that if you've set up your manuscript as an ebook and have made sales on it, then no, you can't query this book as unpublished. It doesn't matter whether the book has made one sale or one thousand. For all intents and purposes, it's been published. I would definitely recommend being up front with the agent in the query, because agents who are seriously considering offering representation or requesting more material are going to do their research on you. And they will most likely find it. Better to be honest and upfront about it at the outset. It will save you many headaches later on. More questions from our Ask QTB Extravaganza! What is the final word on indicating italics in a novel? Use underline or use italic font? To understand why we used to underline, you have to think about old typewriters. They had a limited number of letters and symbols available. Since italics requires a secondary font (i.e. each of the regular letters set at an angle), there just wasn't enough room. However, since underlining required the user to add just one character (the underline) under each letter he'd already typed, underlining was feasible. Now that we've moved to computer files, it makes more sense to italicize, especially because the printer is working from your submitted file, not retyping (or otherwise recreating) your document from scratch. The only place you should use underlines in a modern manuscript is to indicate where things should be underlined in a final typeset version. And for the record, you should also submit all manuscripts in Times New Roman, not Courier. There is a But here. You knew there was, right? Word is there are a few people out there in the publishing world that are still old-school. They like things in Courier, with underlines. I haven't met any, but rumor has it there are still a few around. So how will you know? By carefully reading their submission guidelines. If they tell you to use Courier and underlines, use Courier and underlines. If they don't specify, use Times New Roman and italics! One last tip for your manuscript submission: Create a running header or footer that contains not just your name and the book or story title but also your contact information (an email address or phone number is plenty) in case pages get separated. Because if the agent or editor doesn't know who you are or how to reach you, it doesn't matter how you formatted your manuscript. 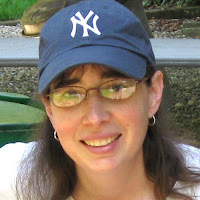 Carolyn Kaufman, PsyD writes fantasy, scifi, and nonfiction. She loves helping writers "get their psych right" in their stories, and she's the author of THE WRITER'S GUIDE TO PSYCHOLOGY: How to Write Accurately About Psychological Disorders, Clinical Treatment, and Human Behavior is now available. Learn more about the book at the WGTP website or ask your own psychology and fiction question here. Agent Rachelle Gardner discusses royalty rates, and while all the figures are hypothetical, they give a good idea of what to expect. Writing a novel? Nathan Bransford takes a leaf out of Dante's book and describes The Nine Circles of Writing Hell. And agent Mary Kole gives her insights on what makes a novel fall into the Young Adult or Middle Grade category. And we're excited to announce that fellow QT blogger Jane Lebak's book THE BOYS UPSTAIRS is coming out with MuseItUp Publishing. 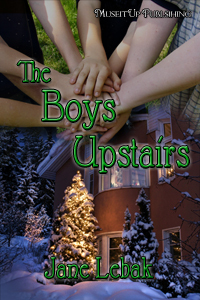 In The Boys Upstairs, Father Jay Farrell is a priest who's begun housing homeless kids in the unused rectory. When his estranged brother, a cop, brings him three more kids a few nights before Christmas, their struggle to provide for these children brings them to confront the long-buried emotions that have them apart. To celebrate, QT readers can get 25% off theirs from today until December 10th. Use code QTPROMO2010 at checkout in the discount code box before going to Paypal. And the winner for the WGTP book giveaway is Cheri Williams. Carolyn will be contacting the winner directly in the next day or so to arrange for shipping. And for all those that are still hoping to win a copy, stop by Carolyn's blog to check out another opportunity to win. Danyelle Leafty writes YA and MG fantasy. She collects dragons, talking frogs, and fairy godmothers in her spare time. Details of her writing exploits can be found at her blog. QueryTracker Blogger Carolyn Kaufman’s first book for writers, THE WRITER’S GUIDE TO PSYCHOLOGY: How to Write Accurately About Psychological Disorders, Clinical Treatment and Human Behavior hits shelves today! To celebrate, we decided to interview her…and give away a signed copy of her book! To enter the drawing, just comment below. 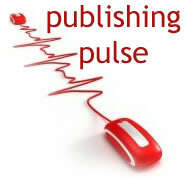 We’ll announce the winner in Friday’s Publishing Pulse. Carolyn’s doctorate is in clinical psychology, and she is a former psychotherapist turned full-time psychology professor at Columbus State Community College in Columbus, Ohio. She is frequently consulted by journalists as an expert source, and her specializations are clinical/abnormal psychology and media psychology. Why THE WRITER’S GUIDE TO PSYCHOLOGY? What prompted you to write it and what do you hope your readers will get out of it? While I was in graduate school [to get a doctorate in clinical psychology], I noticed a lot of discrepancies between what I was learning in class and seeing in my therapy office, and what I saw in movies, books, and TV. When I started investigating the professional academic literature on misconceptions perpetuated by the media, I saw that the problem is one the psychology field is well aware of. But part of the problem, it seemed to me, was that the psychological professionals were mostly talking to each other – no one had yet figured out how to bridge the gap between professional psychology and the people producing the media: writers. As I searched farther, I found some writers’ books dedicated to helping authors get their forensic psychology right. But there was absolutely nothing for those interested in clinical and counseling psychology – the people who do therapy. So I decided to write one. I want to help writers get their psych right! So many beliefs about psychology are outdated or inaccurate, and because we keep seeing them in the media, we keep assuming they’re true – so they get passed on, one writer to the next, like urban legends. My book is an accessible, interesting, practical guide to help writers avoid all those common mistakes. THE WRITER’S GUIDE TO PSYCHOLOGY helps writers get the psychology right in their stories. What are some common misconceptions you see in the media? Many, many people believe that schizophrenia, “split” or multiple personalities, and bipolar disorder are the same thing. In fact, schizophrenia, multiple personalities (officially called “Dissociative Identity Disorder” or DID), and bipolar disorder are three distinct disorders. · Schizophrenia is a biologically-based psychotic disorder, which means that the individual has lost contact with “normal” reality and instead experiences hallucinations or delusions and possibly other unusual or even bizarre behaviors. · Dissociative Identity Disorder is a dissociative disorder caused by massive and often sadistic trauma/s during childhood, before the individual has developed adequate coping mechanisms. As a result, the trauma/s are “split” off from the rest of the personality. If they are “out” enough, those split-off parts can develop into separate personalities. · Bipolar disorder is a biologically-based mood disorder, with extreme downs (depressions) and ups (manias). Though many people feel good when they are manic, some become extremely irritable or volatile, and a few experience brief psychosis. · People don’t shake during “electroshock” therapy, nor are they awake. · Serial killers are almost never psychotic, though they may be psychopathic. 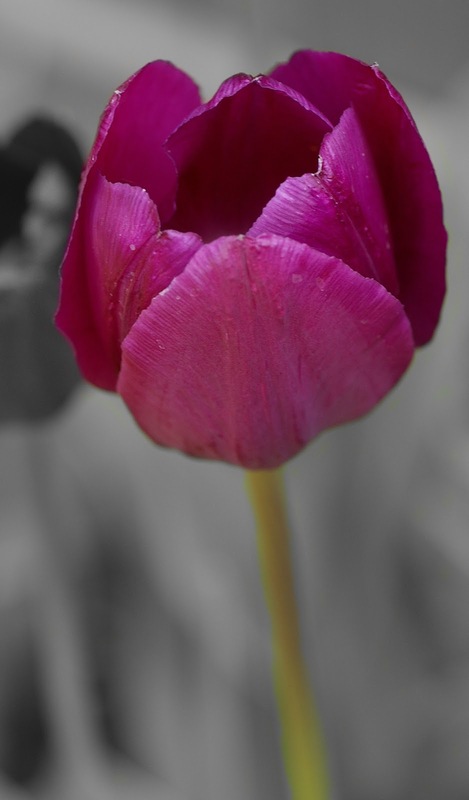 · Not all therapists believe the examination of one’s childhood is important to therapy. The book contains “Don’t Let This Happen to You!” sidebars, in which you describe mistakes other writers have made. Could you give us an example? In reality, multiple personality disorder (aka dissociative identity disorder or DID) is not a psychotic disorder. Therefore, there is no such thing as an antipsychotic (or any other medication) that suppresses personality changes in DID. Sorry, Davis! How much and/or what kind of research went into writing this book? I researched everything. Even the facts that I knew, I verified with research. I have two big binders full of relevant journal and news articles, and I also relied on numerous professional books, interviews with other psychological experts (particularly people who understood medications, hospitalization, and electroconvulsive therapy) and even a couple of tours through psychiatric units. When it comes to nonfiction, I’m a very methodical person. I like to brainstorm, usually writing by hand on regular paper or on a Tablet PC. (For some reason, typing isn’t freeform enough for me when I’m brainstorming.) Then I like to gather research that supports the ideas, so I’m starting to build a framework to support the ideas. After that, it’s time to start writing. Since publication involves the production of a proposal, I’m usually able to pull summaries out of the material I’ve begun producing. Honestly, writing nonfiction feels a lot like writing a (doctoral) dissertation to me! In terms of actually writing, I sit down at the keyboard and just start pounding away. Even when it feels like I’m producing garbage, I keep going. Often it just feels like I’m producing garbage, and I’m actually doing just fine for a first draft. Editing is easier for me, anyways, so if I can get something on the page, I’m moving in the right direction. I learned to do this from writing fiction – just keep writing and worry about editing later! My biggest “writer’s block” trick is probably letting my unconscious roll the problem around and come up with some possible solutions. Psychologists call that “incubation” of an idea. Then I try to just start writing and hope I see some good stuff. And even if I don’t the next time I write, I’ve pushed the thought process forward and can let the problem incubate some more. I also find that switching from typing to writing by hand can be helpful for me. Writing by hand is more right-brained for me, or something. I come up with ideas more easily that way. The book is available from all the big and small online retailers like Amazon.com. You should also be able to find the book in brick-and-mortar stores like Borders! You can visit Carolyn’s WGTP website for more information including the media kit and a detailed table of contents, follow her on Facebook, visit her YouTube channel, or send her your psychology and writing question at Archetype Writing, her website on psychology for writers.